EHI Mold Remediation Inc. has been providing mold inspections and mold remediation services since 1997 throughout Baltimore County Maryland & Baltimore City including Owings Mills, Catonsville, Cockeysville, Parkton, Perry Hall, Pikesville, Arbutus, Butler, Dundalk, Essex, Garrison, Glyndon, Hereford, Hunt Valley, Lutherville, Middle River, Millford Mill, Mt. Washington, Canton, Federal Hill, Fells Point, Randallstown, Reisterstown, Rosedale, Sparks, Sparrows Point, Edgemere, Timonium, Towson, White Marsh, Windsor Mill, Woodlawn and other parts of Maryland. 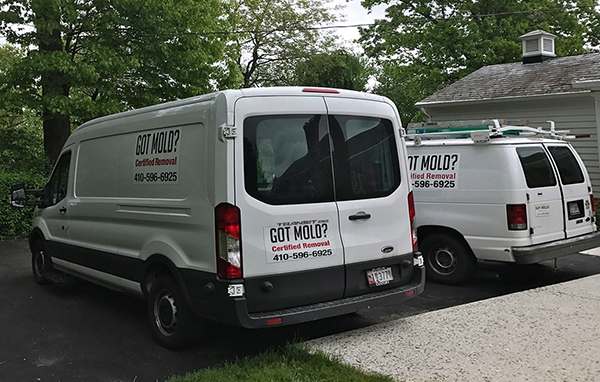 Baltimore County MD mold remediation clients include real estate agents, home inspectors assisting with real estate transactions, homeowners, banks with foreclosed & vacant properties, commercial businesses and more. Mold in a house is caused by moisture that comes from a wide variety of problems including floods, water seeping into walls or basement, leaking roof, broken pipes in ceiling or wall, overflowing toilets, leaking toilets, showers or tubs. If you suspect mold call or email for an inspection before it continues to spread through the house. Description of work: Basement mold remediation and basement water sealing.